Cédric worked with various Insurances companies across Switzerland on online applications handling billion premium volumes. He loves to continuously spark his own creativity in many different and challenging open sources projects fueled by his great passion for innovation and blockchain technology. In his technical role as a senior solution architect, Cédric helps to define and implement innovative solutions using blockchain technologies and traditional products, solutions and services. He can support full spectrum of software development activities, starting from analyzing ideas and business cases and up to the production deployment of the solutions. Cedric is passionate about AI, white hacking and promoting test-driven development as well as agile methods to deliver clean, functional code. He strongly believes the future will be driven by decentralization, community, and global collaboration and considers blockchain a natural fit for this vision. 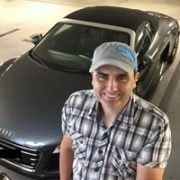 tokens-economy.com is a blog / digital playground where Cédric keep track of new developments in the distributed ledger technology space and present all his experimentation and tools, promoting the understanding of digital currencies and assets. 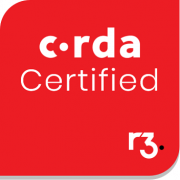 He is also member of the Bitcoin Association Switzerland and Corda Certified Developer.